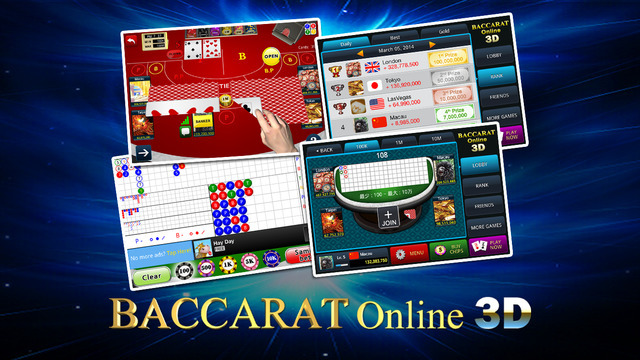 The Baccarat Online 3D app is a free social game, and it’s available for free in both Google Play and the Apple Store. Social means, that you are playing with and against real players, in this case: gamers from all over the world. 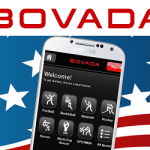 Every person at the Baccarat Table is a real live human being, playing this app on their smartphone, tablet or other device. Playing is easy, especially when you are accustomed to the game of baccarat already. One Table offers up top 5 places. You and your virtual table mates place your bets, the cards are dealt, and depending on the cards, winnings are determined. When you first start playing, you will be offered the choice to play as a guest or to create your own account. The latter requires a connection with your Facebook account. 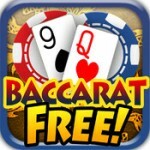 Connection this app with Facebook certainly has its benefits: you will receive $20.000 in free game credits, plus you get to invite your Facebook-friends, so you can play alongside the at the baccarat table. Playing as a guest gives you $10.000 to start with. Alternatively, you can create an account with an e-mail adress, If you don’t feel like connecting it with Facebook. The Lobby is the place where you can choose between multiple tables to join. If you are not familiar with baccarat itself, take your time to look around and to test which tables you like to play at. Each table has its own betting limit. Tables with higher bet limits offer higher winnings in comparison to tables with relatively lower maximum bets. Playing is very easy: once you take your seat at a table, you place your bet on either the bank, a player or a draw. There is a time limit set on the betting time, ensuring that you won’t have to wait for ages for the other players. When the betting time is over, the cards are dealt (this happens automatically). Flip your cards, just as the other players will flip theirs. 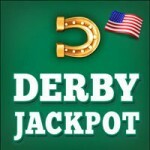 Numbers are calculated and winnings and earnings are determined, and distributed amongst the winners of the round. To make the game more interesting, developer Gamespring has added a Voice Feedback feature, that comments during card distribution, helping you to learn more about the game of baccarat. A very nice feature. 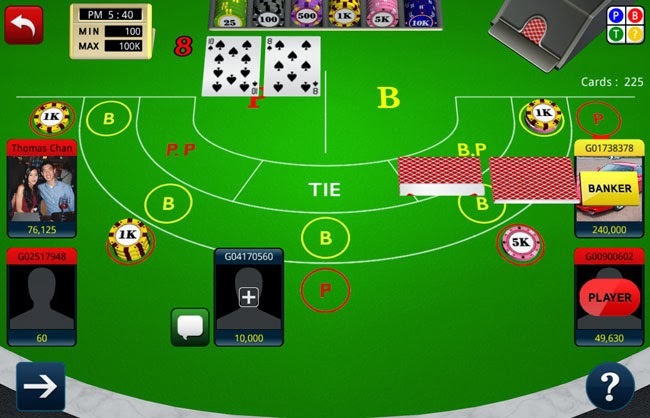 All in all, Baccarat Online 3D is one of the best baccarat apps we’ve seen so far. Play against your facebook friends, or against strangers from all around the globe. Easy to get into , yet challenging to master. There is a World Ranking system that keeps you challenged to increase your own ranking. In short: there’s enough to keep you coming back for more.